Third-party funding is now permitted in Singapore in the context of international arbitration proceedings and related court and mediation proceedings, including proceedings for, or in connection with, the enforcement of arbitration awards. 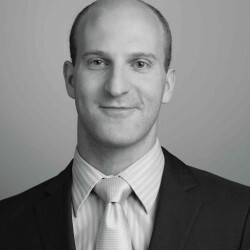 This significant development follows amendments introduced in 2017 to the Civil Law Act (CLA) and represents an exception from the traditional position, under which the torts of maintenance (the improper support of litigation in which the supporter has no legitimate concern, without just cause or excuse) and champerty (when the maintaining party pays some or all of the costs of a party in return for a share of the proceeds of the claim) prohibited third-party funding of contentious proceedings. The Ministry of Law ran a consultation to seek feedback on the CLA in early 2018, the results of which may impact future legislative updates. As at September 2018, we are aware of only one publicised instance of a ‘live’ Singapore-seated arbitration being financed by a third-party finance provider, although funders have received many more proposals. This number is expected to rise as parties and funders become more familiar with the third-party funding framework in Singapore. there is no realistic possibility that the administration of justice may suffer as a result of the assignment, which will be viewed in light of prevailing public policy, with particular regard to ensuring the administration of and access to justice as well as the interests of vulnerable litigants. In a recent ruling, the Singapore High Court allowed the liquidators of two subsidiaries of PT Trikomsel Oke Tbk to proceed with a commercial third-party funding arrangement. This ruling confirms that commercial funding of claims arising out of an insolvency is permitted in Singapore. The third-party funding regime will be further expanded if the Insolvency, Restructuring and Dissolution Bill is passed. This will allow third-party funding in claims by liquidators against persons who have misappropriated a company’s assets. Singapore law does not expressly provide any specific limits on the fees and interest funders can charge. This will largely be a matter to be negotiated between the funder and funded parties. However, sections 5A(2) and 5B(2) of the CLA provide that a funding contract should not be contrary to public policy. It is therefore possible that the Singapore courts may take into account the level of fees and interest in considering whether a funding contract is in line with public policy. Judicial guidance as to the level of fees and interest that may be charged might therefore be forthcoming in the long-term as the funding market develops in Singapore. The CLA and the Civil Law (Third-Party Funding) Regulations 2017 (Regulations) are the primary sources of legislation and regulations applicable to third-party funding. court litigation proceedings and mediation arising out of or in connection with international arbitration proceedings (eg, applications for the enforcement of awards, or mediation undertaken prior to or during an arbitration). The Singapore Institute of Arbitrators has issued non-binding guidelines for third-party funders, with the aim of promoting best practice among funders who intend to provide funding to parties in Singapore-seated international arbitrations. These guidelines set expectations of transparency and accountability between the third-party funder and the funded party, and encourage funders to behave with high ethical standards towards funded parties so as to uphold the integrity of the international arbitration practice in Singapore. It is expected that these guidelines will provide useful guidance to funders and funded parties alike. The Singapore International Arbitration Centre (SIAC) has issued a Practice Note on arbitrator conduct in SIAC cases that involve external funding. The Practice Note addresses arbitrator impartiality, independence and disclosures, disclosure of the involvement of funders and costs and security for costs in the context of third-party funding. Singapore lawyers and foreign lawyers based in Singapore are subject to the requirements and duties of the Legal Profession Act (LPA) and the Legal Profession (Professional Conduct) Rules 2015 (Legal Profession Rules). The 2017 amendments to the CLA were accompanied by related amendments to both the LPA and the Legal Profession Rules. acting on behalf of the client in any dispute arising out of such a contract. financial interest: lawyers are prohibited from receiving direct financial benefits (including referral fees, commissions or any share of the proceeds) from third-party funders, or holding directly or indirectly any share or ownership interest in any third-party funder that they have referred to a client, or that has a third-party funding contract with their client. The above prohibition extends to any arrangement in which a lawyer’s fee is contingent on the outcome of the proceedings. However, it does not extend to the lawyer’s fee if it is not so contingent. The Law Society of Singapore has also issued a Guidance Note that sets out best practices for lawyers that refer, advise or act for clients who obtain third-party funding. There are no public bodies specifically designated as having particular interest in or oversight of third-party funding. However, the CLA provides that the Minister of Law may make regulations necessary or convenient to be prescribed relating to third-party funding. The Law Society of Singapore also has oversight over the conduct of Singapore lawyers and foreign lawyers based in Singapore, including in relation to their conduct on matters involving third-party funding. The CLA and Regulations do not restrict a funder’s right to choose counsel. In practice, funders are likely to be able to influence the choice of counsel via their decision on whether or not to fund a particular case. For example, funders could decide not to offer funding if they are unhappy with the choice of counsel. Depending on when a funder becomes involved, they could take an active role in the selection of counsel, or require such rights in funding agreements. As to whether counsel may take up appointments proposed by funders, as discussed above, Singapore lawyers and foreign lawyers based in Singapore are subject to the requirements and duties of the LPA and the Legal Profession Rules that include general provisions on independence and integrity, confidentiality and referral payments in the context of client introductions and work referrals by a third party (which would include a third-party funder). Funders are likely to be able to attend arbitration proceedings provided that all of the parties and the tribunal agree, and subject to funders being party to the necessary confidentiality provisions. In terms of litigation, court hearings in Singapore are generally public and therefore there would be nothing preventing a funder from attending the proceedings if it wished to do so. For court proceedings held in camera, however, specific consent from the other parties and the presiding judge or registrar would have to be sought and obtained before a funder is able to attend. Singapore law is currently silent on the extent to which (if at all) a funder would be entitled to participate in hearings and settlement proceedings. In practice, however, the terms of the underlying funding agreement will usually allow funders some say in the strategy and decision-making process over the course of the proceedings. This is not specifically addressed under Singapore law. The veto rights of funders (ie, their ability to approve or reject a proposed settlement) are primarily matters to be dealt with in individual funding agreements between parties and their funders. The circumstances in which a funder may terminate a funding arrangement is a matter that will be negotiated between the funder and the funded party and recorded in the relevant funding agreement. These circumstances may include, for example, where the funder becomes aware of fraud or wrongdoing by the funded party. See question 7. There is currently no legislative or regulatory guidance or requirements as to the role funders can take in the litigation or arbitration process in Singapore. Conditional and contingency fee agreements are not permitted in respect of litigation in the Singapore courts or for lawyers based in Singapore participating in arbitrations. Litigation costs are generally funded by the litigants themselves. In certain civil matters, litigation costs can be state-funded where Singapore citizens and permanent residents are financially eligible for legal aid. The length of time a claim takes to reach a decision at first instance depends on a number of factors, including the complexity of the claim. Typically, a commercial claim might take, on average, one to one and a half years to reach a decision at first instance in the Singapore courts. This may be quicker in the new Singapore International Commercial Court. It is difficult to provide a reliable estimate, although we understand that significantly less than half of first-instance civil judgments will be appealed in the Singapore courts. On average, appeals usually take six to nine months to reach judgment. While there are no statistics available on the proportion of judgments that require contentious enforcement proceedings, experience suggests that Singapore-based judgment debtors tend to pay their judgment debts where they are able to do so. 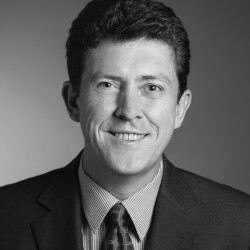 Cases where contentious enforcement proceedings are required are more commonly seen in cases involving cross-border litigants, such as judgment debtors domiciled overseas. Where contentious enforcement proceedings are required, the ease of enforcement is dependent on various matters of practicality (eg, the location and accessibility of assets to be enforced against). The only form of representative group litigation in Singapore is the action governed by Order 15, Rule 12 of the Rules of Court, which states that where numerous persons have the same interest in proceedings they may begin proceedings by, or against, any one or more of them representing the whole (or except one or more of them). Representative actions can be initiated by the parties without the approval of the court, although the court may terminate the action at its discretion. There are no special rules relating to the payment of solicitors’ fees in representative proceedings. The general rule in Singapore is that costs follow the event, such that the unsuccessful party in an application or proceedings is usually ordered by the court to pay the successful party’s reasonable legal costs. However, the order for costs, and the quantum of costs to be ordered, is entirely at the court’s discretion in both principle and amount. There are a number of factors that the court can consider when exercising its discretion. While the issue has not directly arisen for the court’s consideration, costs ordered by the court could conceivably include the litigation funding costs of the successful party insofar as these represent the reasonable legal costs of the successful party. The English courts, for example, have awarded litigation funding costs (and upheld tribunal cost orders providing for the same), and it is possible that the Singapore courts will take a similar approach under the appropriate circumstances. As a general rule, courts in Singapore are not precluded from awarding costs against a third party. However, such orders are exceptional, and will turn on the question of whether in all the circumstances it is ‘just’ to make such an order, looking in particular at whether there is a ‘close connection’ between the non-party and the proceedings, and whether the third-party caused the costs in question to be incurred. Singapore courts have noted that the discretion to award costs against a third party may be exercised where that party either funds or controls legal proceedings with the intention of ultimately deriving a benefit from them. It is therefore possible that adverse costs orders could be made against a third-party funder in the context of litigation proceedings before the Singapore courts (see question 3 in relation to court proceedings that can be subject to funding). In arbitration, tribunals derive their jurisdiction from an arbitration agreement between parties, and their jurisdiction is limited to those contracting parties. Accordingly, arbitral tribunals seated in Singapore have no power over third parties and cannot order them to pay adverse costs. Having said that, the SIAC Practice Note on arbitrator conduct provides that, in cases involving external funding, a tribunal may take into account the existence of an external funder in deciding on the quantum of costs to be awarded. Defendants in Singapore can apply for an order that claimants provide security for their costs under Order 23 of the Rules of Court provided that certain grounds are met, including, for example, that the claimant resides out of the jurisdiction, or is suing for the benefit of some other person and there is reason to believe that he or she will be unable to pay the costs of the defendant if ordered to do so. Section 388 of the Companies Act also provides that, where a claimant is a corporation, the court may order security for costs, and stay proceedings until it is paid, if there is reason to believe that the corporation will be unable to pay the costs of the defendant if successful in its defence. In deciding whether to grant security for a defendant’s costs, the court will consider factors such as whether the claimant’s claim has a reasonable prospect of success, the ease of enforcing any such order (including the location of the claimant’s assets, for example), and whether such an order would stifle the claimant’s claim. The court has complete discretion as to the amount of security to be given and will fix a sum having regard to all the circumstances of a case. It is not always the practice to order security on a full indemnity basis. The court may be assisted, for example, by lawyers’ estimates and skeleton bills of costs. It is for the applicant to provide materials to enable the court to come to a view on the quantum to be ordered as security. Payment is usually made into court, or, exceptionally, may be given by providing a bond. The High Court of Singapore has indicated that it would not hesitate to make an order for security for costs to deter ‘interested parties . . . trying their luck by fielding unmeritorious or dubious claims using [an] impecunious corporation as a shield which may then leave the defendant who ultimately emerges victorious with unpaid costs’ (Frantonios Marine Services Pte Ltd and anor v Kay Swee Tuan  4 SLR(R) 224). While the decision in question predates the recent relaxation of rules on third-party funding, it is possible that the Singapore courts would still be prepared to order security for costs in funded cases, where the circumstances justify such an order. ATE insurance has been available in Singapore since 2009, although we understand that its use is not widespread at the present time. Under Rule 49A of the Legal Profession Rules, a legal practitioner must disclose to the court or tribunal, and to every other party to the proceedings, the existence of any third-party funding contract related to the costs of those proceedings, and the identity and address of any third-party funder involved in funding the costs of those proceedings. An opponent or the court may therefore compel disclosure of a funding arrangement on this basis. In Singapore, such communications may be protected by legal advice privilege or litigation privilege. Communications between a client and its lawyer and a client’s lawyer and third parties acting as agents for a client, attract legal advice privilege if made for the purpose of obtaining legal advice. Where the communication or document was prepared in circumstances where there is a reasonable prospect of litigation, that communication or document will also be privileged, even if it is passed between a lawyer and a third party that was not acting as the client’s agent. The latter form of privilege is known as litigation privilege. Where communications or documents are privileged on either of the above bases, the client may also share the privileged material with a third party such as a funder on the basis that the funder has a common interest in the subject matter (being an interest in the matter), without losing privilege. While the issue has not arisen for judicial determination, the Singapore courts are likely to give serious consideration to a claim for legal privilege over communications between litigants or their lawyers and funders on the basis that these bear the characteristics discussed above. There have been no public reports of such disputes. 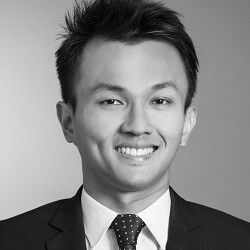 Singapore’s Ministry of Law has made clear that the amendments to the CLA and the Regulations are the start of a broader review of the Singapore civil justice system, with the intention that these amendments ‘allow the framework to be tested within a limited sphere by parties of commercial sophistications’ so that ‘the framework may be broadened in future after a period of assessment’. The Ministry of Law further observed that, in future, ‘event-triggered fee arrangements, including contingency fee arrangements, will be studied’. Herbert Smith Freehills is one of the world’s leading law firms. With over 3,000 lawyers operating from an international network of 27 offices in 20 different jurisdictions, we advise many of the biggest and most ambitious organisations.